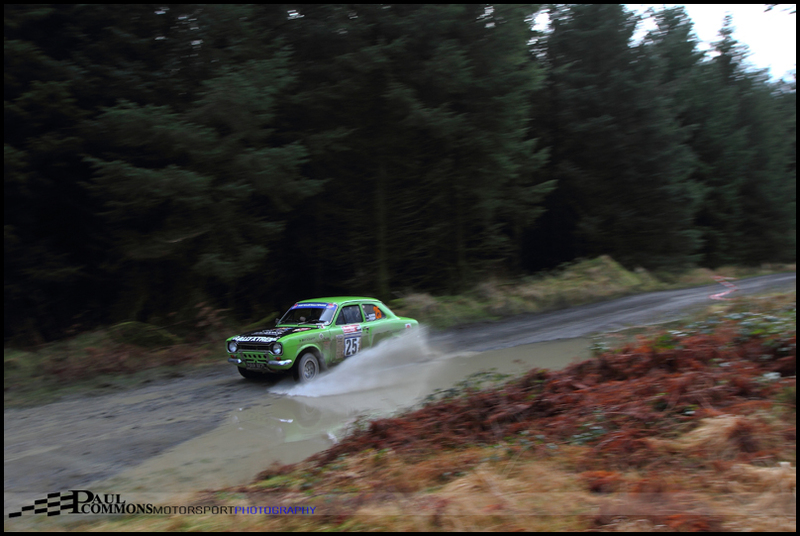 Richard Hill and Pat Cooper took a last gasp victory on the very well organised Red Kite Historic Stages after long-time leaders Nick Elliot and Dave Price left the road on the Crychan finale. An extra early start was in order to ensure I was signed on in time and heading over to Caeo forest for stages 1 and 4 of the scheduled 5. The 4am alarm was a killer but well worth it given the cracking entry list and the chance to access new territory. Junctions 4 and 5 were my chosen destinations for stage 1. The long walk along the super smooth track in the glorious morning sunshine was convincing enough that I was not ENTIRELY mental for spending my spare time in this manner. The Cat 1 historic entry for the Red Kite was particularly impressive, if anything only missing one or two more Porsches to further bolster the list. This was more than made up for by the 2 very rapid red Irish Mini’s of Ray and Frank Cunningham. Ray, paired with Gary McElhinney would eventually take a phenomenal 19th overall and with it the unofficial Cat 1 victory. At the front of the field Elliot and Price showed their class by taking 6 seconds out of Hill and Cooper on stage 1, who in turn were no slouch as they were a whole 23 seconds quicker than the trio of Brown, Murphy and Davies through the 8 miles of Caeo. It was great to see the sunbeam of Owen Murphy and James O’Brien take the fight to the mighty blue oval machines; lying 4th overall until sadly retiring on the very last stage. 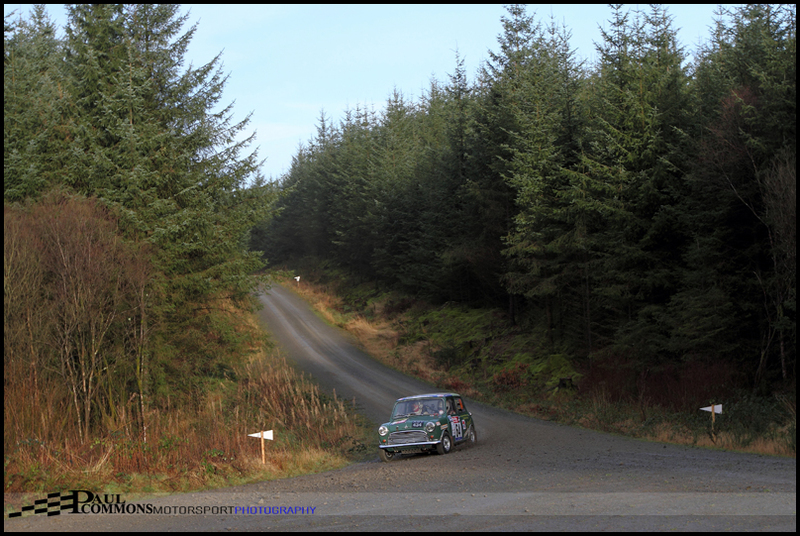 Meirion Evans & Iwan Jones were also massively committed through junctions 4 & 5 of this stage; maybe too committed as they lost nearly 2 minutes to their rivals following a trip into a ditch. This was a shame as they were quicker than ninth place suggested, and even set fastest time on Crychan Main. Following a twenty minute service the crews headed east for 2 stages in Crychan forest. Hill was able to match Elliot’s pace through Crychan West, but the number 1 seed proved just too quick in the shorter East stage. Elliot would take a healthy lead of 21 seconds back to Llandovery with Brown, Murphy and Davies over 30 seconds further back. The battle of the MK1’s (C5) was mighty close and being lead by Roger Matthews & Paul Morris with Chris Browne and Simon Tysoe both within 10 seconds of the top spot. The compact nature of this event meant there wasn’t a great deal of time to scout out locations for the afternoon run of the Caeo stage. Fortunately however I came across what can only be described as a small lake covering 3/4’s of a very fast part of the track. With the rain starting to fall more heavily I decided this would be the best option for Stage 4 and would hopefully make for photos which were typical of the recent weather seen in the UK. I assumed that the aforementioned water feature would be cautioned but you would not have thought so as many a brave crew hardly lifted. 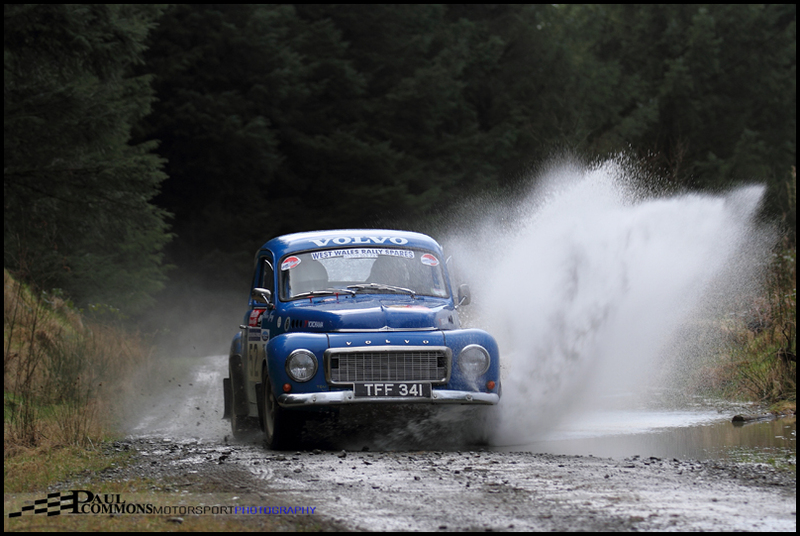 Adrian Hetherington in the Red Kite Modern rally was probably the most impressive; the impact of the water throwing his MK2 sideways and leaving me to consider running for cover! The second running of Caeo would again see Elliot top the times and would leave him with a seemingly comfortable 28 second cushion going into the mammoth 14.5 mile final stage. It was however not to be as Richard Hill and Pat Cooper emerged from the stage with victory. Second went to the vastly experienced crew of Terry Brown and Den Golding in their infamous red MK2 with the podium being completed by Tomas & Eurig Davies. A good result following their rather large off in Craik on last year’s RAC. Simon Tysoe and Cliffy Simmons came out on top in the ultra competitive C5 class with 10th overall; the top 3 being covered by a mere 2 seconds! 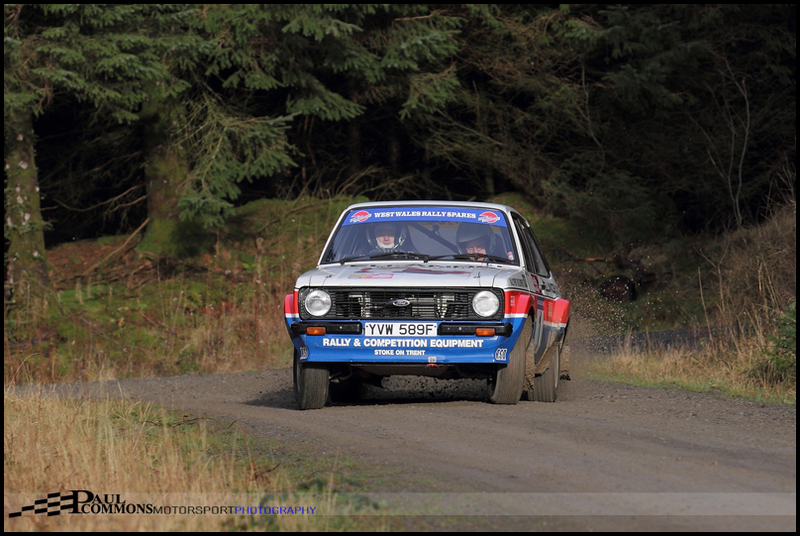 Gareth Lewis & Dan Holley took D3 honours with 13th overall in their MK2. 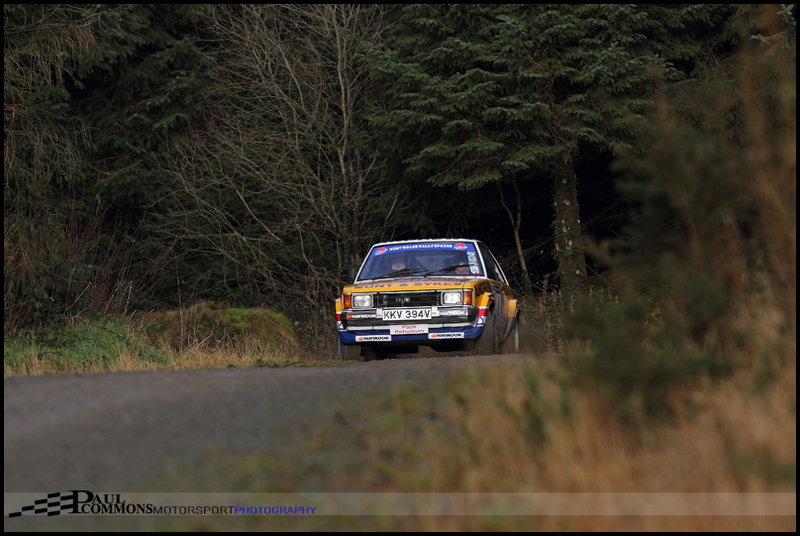 Peter Smith & Patrick Walsh claimed C3 in the immaculate Opel Ascona, a more than welcome addition to the championship and a well deserved 15th overall. 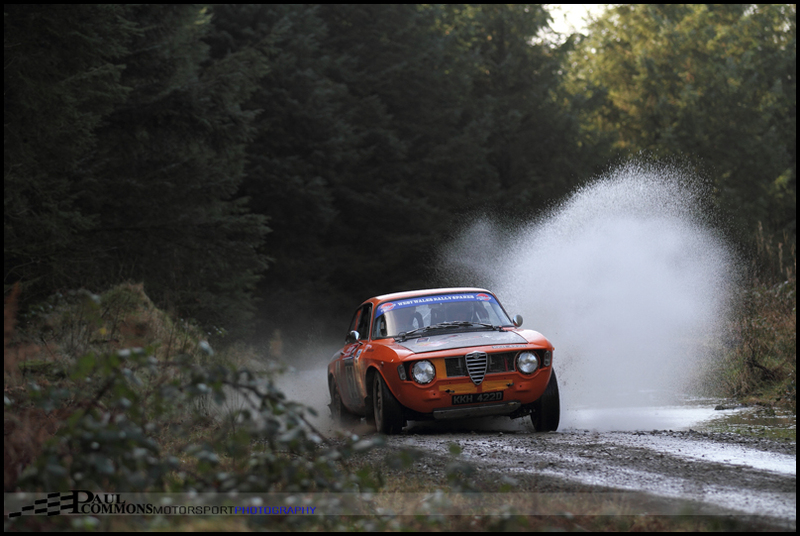 Together with 30th overall Paul & Daniel May won class C2 in their MK1 Mexico. 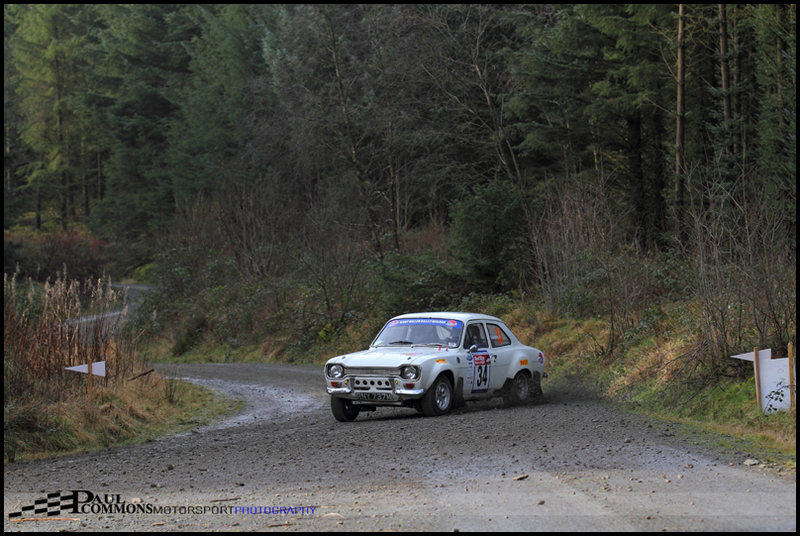 James Stait and Mike Harris claimed class D4 in their Sunbeam with 33rd overall following the retirement of Owen Murphy’s similar machine. With 38th overall, Dave Hopkins and Tony Vart took the D2 victory. Behind Ray Cunningham in the Cat 1 historics, Simon Wallis & Graham Wride took an equally impressive 20th overall and with it top spot in class B4. Bob and Dale Gibbons took class B3 victory in their MK2 Cortina and last but not least Stephen Higgins and Dom Bramfoot claimed class B1 in the unmistakable Saab 96. By 5.30pm I was back home and dry, even with a short delay during the second run. Hats off to organisers for putting on a top event, If only more were this compact. Overall it was a great way to start the new championship year. 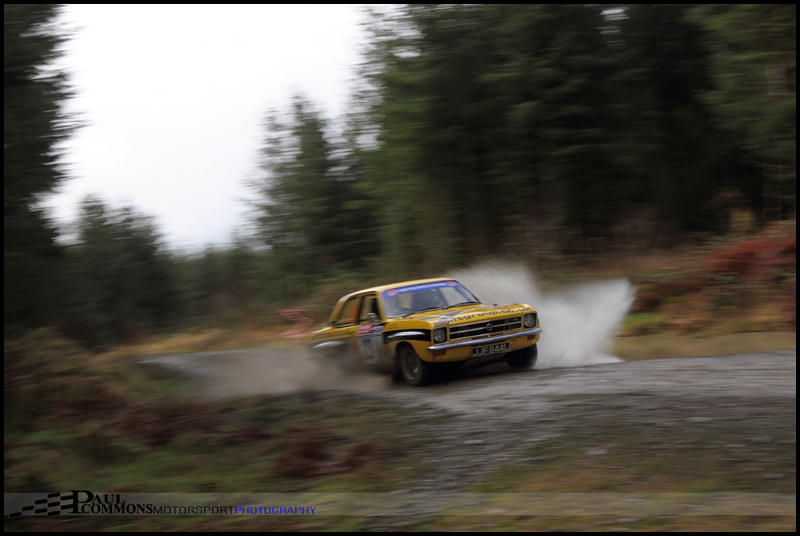 I am already looking forward to round 2, the Mid Wales Stages, in early March. Let’s hope it is a little warmer than last year …. Prints can be purchased from my Photobox site. For any other requirements please get in touch via the contact form.